Boy oh boy!! After having the flu for a week and a half and ending up in the hospital with 104 degree fever, dehydration, and 400+mg/dl daily BG averages for four days in a row (with ketones), my body has decided to allow itself to be put back together again and get well. ….been back at work chasing my class of 11 three year olds (I teach pre-k3) for a week now and I finally feel like I’m almost caught back up with life. …apparently the world doesn’t stop for 10 days just because I do. Darn. …just when I was starting to think I was just THAT Fabulous!! I’m really glad me and all my fabulous-ness got well in time for my appointment with my CDE this past Monday afternoon, because we had sensor training set up. …..and I now OFFICIALLY have my Minimed CGM! Woo-Hoo!! –Houston, we are CoNNEcTEd. My robotic-ness has stepped it up a level. Now, let’s back this carriage up a minute. When I first got my pump and all the way up until late Monday night– after I had been hooked up to the sensor for a few hours, I was pretty opposed to the thing. Okay, let’s be real. I was downright Against getting the thing. ..I just wasn’t sure if -body image wise- I could handle it (another device/object attached to me, especially that big & always on my abdomen).. And I wasn’t sure if I could handle something EXTRA in my life right now— no matter how ‘good, positive, & helpful’ it might be. Well, color me purple, because even though I don’t like the bulkiness of the thing, I am utterly AMAZED at this little device. Several hundred BG checks a day and no pokes. Sweet!! Cool graphs right on my pump screen. Flippin Awesome!! 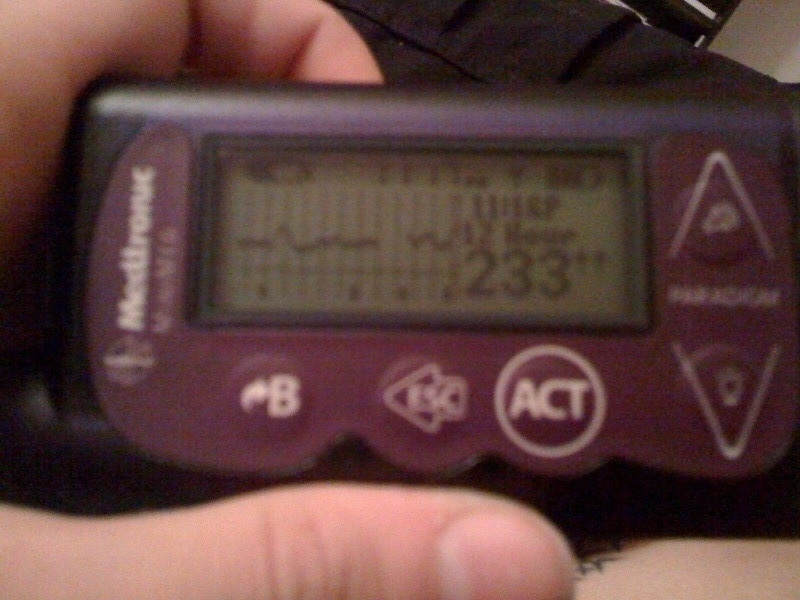 Before I get into anything else, let’s just say I L-O-V-E my CGM——Overall (keyword, here). The great, but not so great part of my CGM is figuring out the reason why I am SO exhausted when I wake up in the morning, even when I’ve gotten an adequate amount of sleep. …my blood sugar is climbing into the 190s to 250s in the middle of the night and looks like one of those scary rollercoasters on my graphs.. And I have thought I’ve been okay for the last I don’t know how long because I’m going to sleep in the 120s to 130s. Thank you CGM for the info. Bless you. 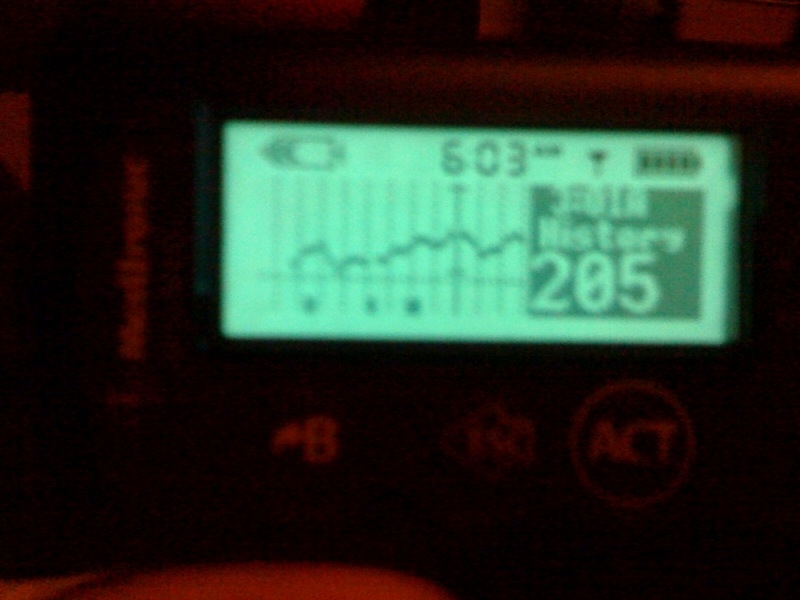 …Holy Blood Sugars, Batman, I need some middle of the night (Dawn Phenomenon) basal adjustments. —My CGM is also confirming the need for an afternoon basal adjustment…and that the time I have been thinking (4pm) my BG has been starting to rise every day is correct. (Go Me!! 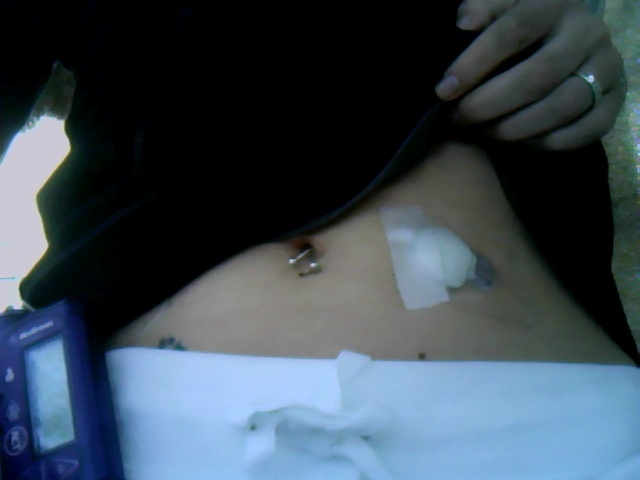 …I do know my body sometimes.. And sometimes I can play artificial pancreas quite well). So, in the first 2 days with my CGM —now lovingly called ‘Beamer’— I can see that my little friend offers me very helpful information, but can also send me on emotional highs & lows. A device that makes me smile & feel proud of myself and cry in the same day scares me a little bit, but it seems to just come with the territory. ….Here’s to my journey with Beamer! !